The markets have reached a new level of transparency but gathering and making sense of all the information is challenging. In response, we created a dynamic view into major institutional markets using a combination of our data and the disparate sets produced by market participants, regulators and industry associations. With a centralized resource and monthly analysis, you are able to identify market structure trends and changes as they happen and be in an informed position to adapt quickly. 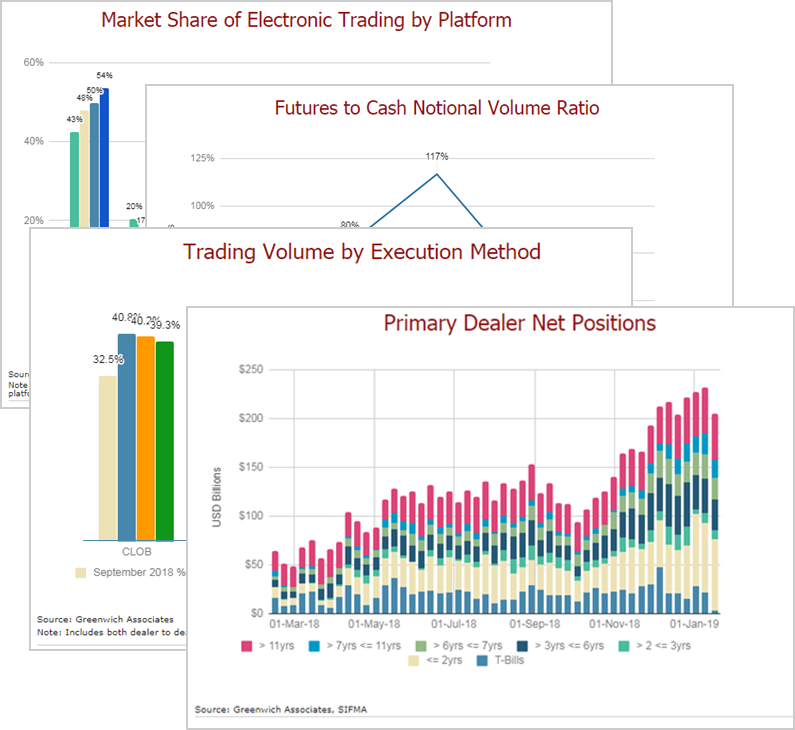 Senior analysts take a closer look at the U.S. Treasury market in terms of ADV, platform volumes, and growth of dealer inventories as of March 2019.